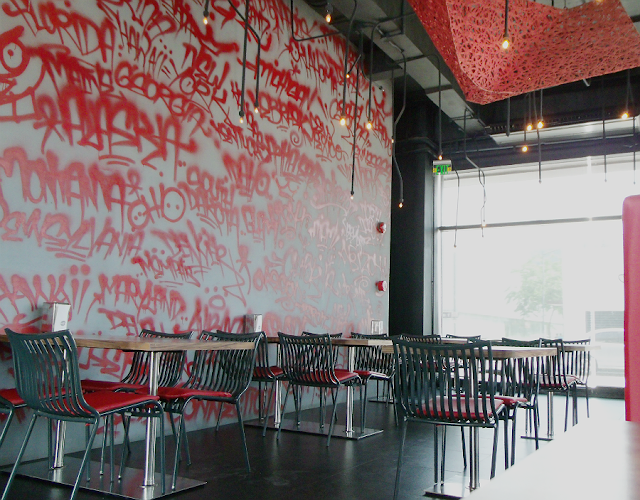 Back in 2012, I came up with a second list of restaurants that I wanted to try, based on the recommendation of friends or just out of sheer curiosity. 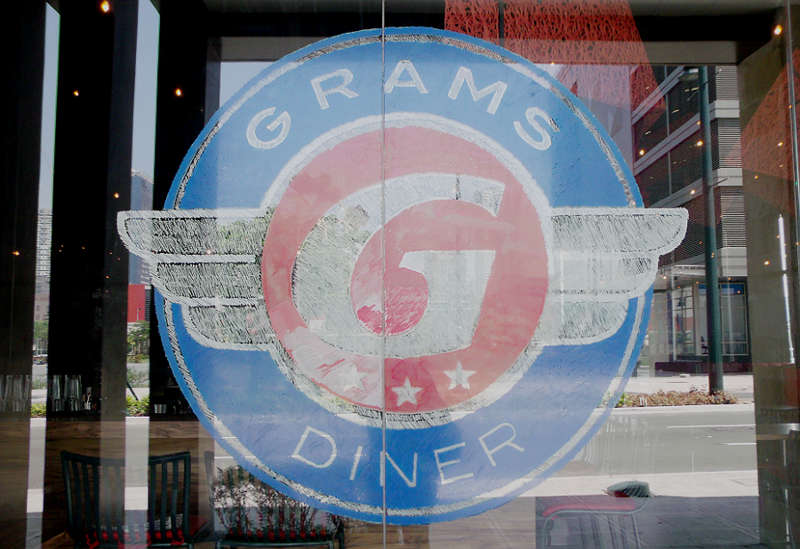 Yes, GRAMS Diner was a part of that list together with some other restaurants like Cafe 1771 and Torch. I always try to find great restaurants which serve all day breakfast and those that open earlier than others mainly because I'm on a graveyard shift and I love breakfast food (DUH). 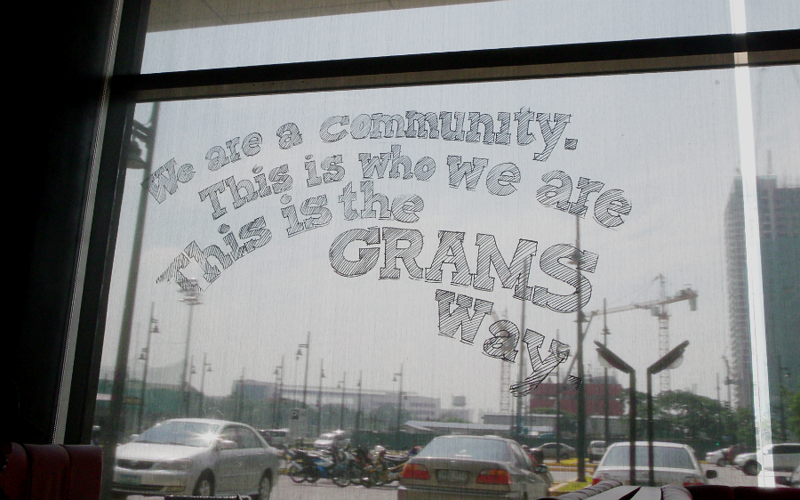 About a week ago, Ian and I went to BGC to eat at another place but ended up here at GRAMS Diner. 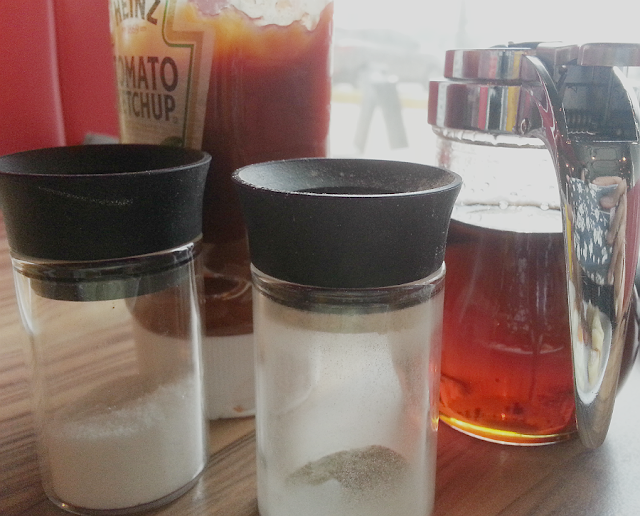 I was still pleased because I am finally crossing another resto off my list after so long. I had quite high expectations but was disappointed. We arrived there, a few folks occupying other tables. We were told only 1 air conditioning unit was working that time so we cannot sit at a specific part of the resto because it would get too hot. Fine with us. So we were seated and handed the menu. We picked our orders and waited. 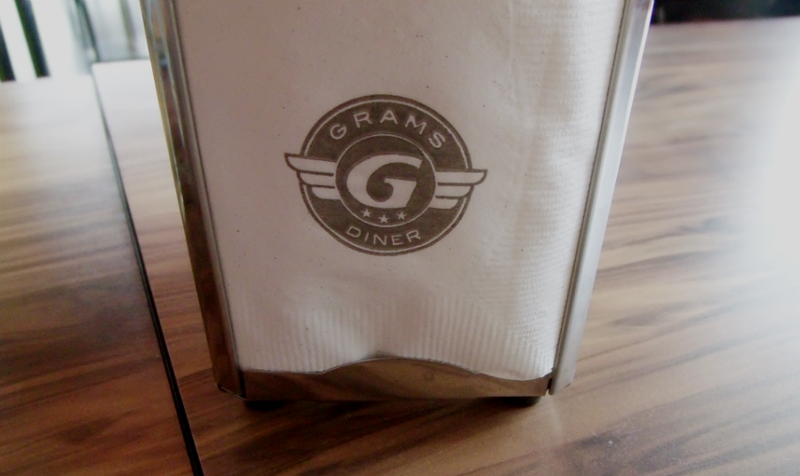 We "checked in" at GRAMS using Foursquare and found a tip posted April 11, 2013 that indeed only 1 AC was working. I'm not really sure if it was not fixed since then or this was another incident of machine breakdown. Sad. I know they aim to have that modern diner feel but I can't comprehend how a wall of red graffiti fits in the modern diner picture. 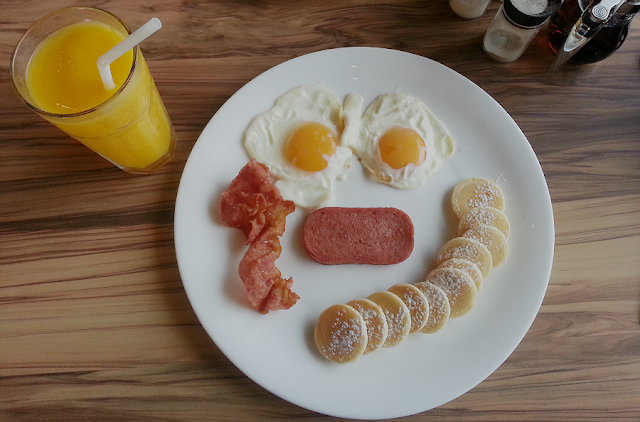 A smiling plate of 2 fried eggs, 2 strips of bacon, silver dollar pancakes and spam! Yum! Everything I love in one plate. The plate was a bit big so it kind of appeared that the serving was small, although Breakfast for Champions looked like this 2 years ago. What happened, GRAMS? The food crew was certainly pleasant and attentive but overall, GRAMS Diner just doesn't cut it. Something about the ambiance perhaps? I couldn't point it out. I'll surely try another branch though.